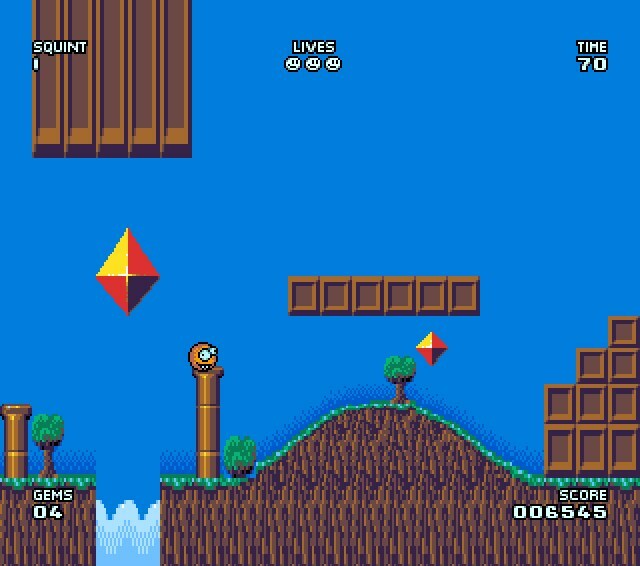 Indie Retro News: Zerosphere - A very squint Amiga game gets a Flashtro trainer! Zerosphere - A very squint Amiga game gets a Flashtro trainer! Another Amiga game to mention that's received a Flashtro trainer is ' Zerosphere', the winner of the Interactive Competition at Evok 2015 and final released at the very end of last year 2015. As we said before here, in this game you play as a little orange character called Squinty who's just had his universe transformed by the evil Odak. You will either throw up or continue playing as this is the strangest game for a very long time that changes before your very eyes! Thankfully Flashtro was on hand to help with another upbeat trainer! It has inclusive unlimited lives, unlimited squint, unlimited time and keeping the exits always open. At least now for those of you like me, you can now play the game without feeling sick. - Thanks Dennis for the heads up!